Add a signature touch for your wedding guests to remember by creating a custom cocktail hour drink. 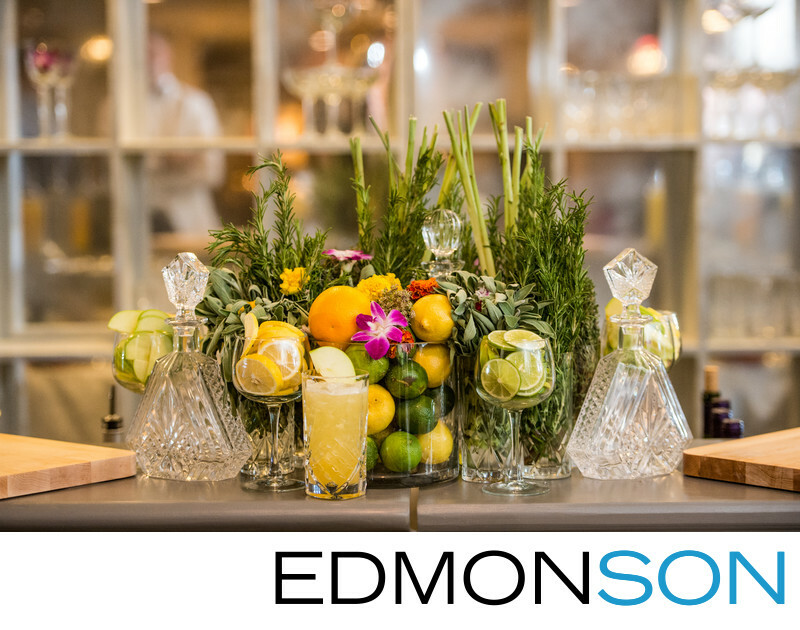 This arrangement created by Jackson Durham Floral out of Dallas is greets the guests as the approach the bar staffed by the Grand Bevy. Led by Josh Rosenthal, the Grand Bevy does more than pour drinks, they create an experience for your wedding guests. You can contact the Grand Bevy through their website. 1/125; f/3.2; ISO 5000; 95.0 mm.